If there was a procedure that could eliminate the daily struggles of having large breasts including back pain, numbness, and shortness of breath would you consider it? A breast reduction surgery can do all of these things, and more. There’s no time like the present to resolve the issues you’re encountering due to the size and weight of your breasts and improve your quality of life. Many Long Island women have chosen Romanelli Cosmetic Surgery in Huntington, New York for their breast reduction surgeries and couldn’t be more pleased with the results. Here are 10 good reasons why. Many patients have reported that they’ve lost countless hours of sleep due to their large breasts. These women spend most of the night tossing and turning while attempting to find a comfortable sleeping position. Numerous patients have reported that they can finally sleep in various positions and no longer need a special support pillow in order to sleep comfortably once they have their breasts reduced. Many women also complain of being short of breath or tired quickly because of the weight of their chest. This is especially true for women with excessively large breasts that are heavy and have severe ptosis because of the additional weight. This is not only frustrating for women, but can lead to an unhealthy lifestyle without any fault to the patient. While many might think that having a large chest would be considered a blessing, a large chest also comes with several negatives. Unwanted attention is one of the most unsettling feelings a woman can experience. The unnecessary stares and awkward comments will finally be a thing of the past after a breast reduction surgery. Women will no longer have to be self-conscious and worry that people are judging them based on the size of their breasts. It can get quite frustrating having to spend hours of time and visiting numerous department stores hunting for clothing that can fit your breasts. Most clothing fits in all the right places, but doesn’t take into account women who have large chests. Searching for a bathing suit that fits is nearly impossible. You’ll no longer have to worry about encountering these issues after a breast reduction. In fact, you’ll be happy to go shopping so you can purchase all of the cute clothing that didn’t fit previously. Finding a new bra or bathing suit top can be liberating for women who undergo breast reduction surgery for the simple fact they can now fit into these items and wear what they want. Large breasts can really put a damper on your workouts. Some of our patients have revealed that they needed to wear two or more sports bras prior to their breast reduction surgery in order to have the support they needed while working out. Being restricted with activity can lead to other problems, such as weight gain. Breast reduction surgery and achieving a smaller breast size allows women the opportunity to be active and live an overall healthier lifestyle. One of the biggest comments from our Long Island patients following a breast reduction surgery is how it has completely changed their lives. The constant, debilitating neck and back pain is finally gone and patients can now live their lives without restrictions. Some complain their neck and back pain was so bad that it started to affect their posture and they even experienced numbness. Having smaller breasts relieves these complications. Women with excessively large breasts often battle skin conditions such as rashes that can occur under the breasts, as well as irritation from bra straps. Large breasts also naturally stretch the skin to an unhealthy limit, which can led to stretch marks, itching, and poor laxity. A breast reduction surgery can help create better skin tone, and an overall healthier skin laxity. Some women have been struggling with their confidence and self-esteem ever since they hit puberty. Years of unwanted attention due to overly large breasts can cause serious issues with one’s emotional well-being and psychological health. Women begin to wonder if men are approaching them simply because of their large breasts or because they really want to get to know them. Breast reduction surgery can truthfully be life-changing in so many aspects, but reclaiming one’s self-confidence remains at the top of the list. 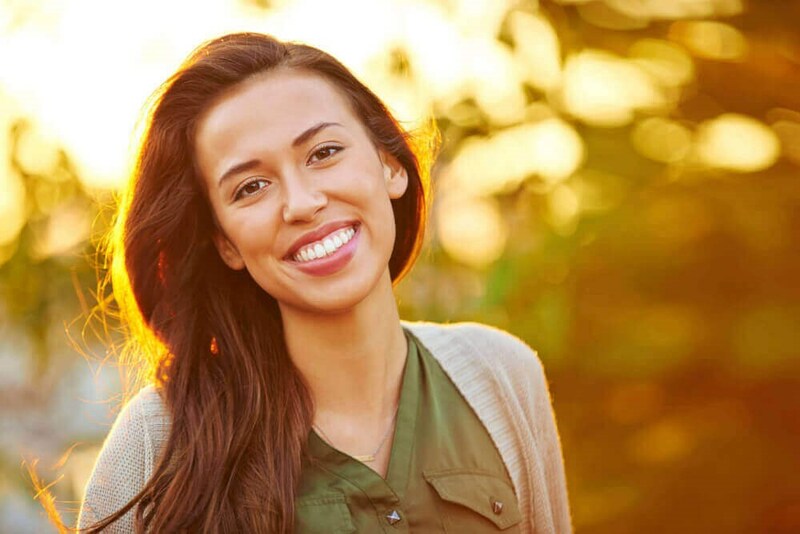 Patients who have undergone a breast reduction are quite pleased with the quicker recovery times due to advancements made in sedation, incision methods, and surgical technique. While there is some discomfort associated with this procedure, it only lasts a day or two and most patients are up and moving around faster than in previous years. Most sutures are removed after 7 to 10 days after surgery. Patients will need to wear a surgical support bra for up to 6 weeks, but regular activities (minus exercise) can resume within a week or two. Oftentimes, a breast reduction may be considered a medical procedure as opposed to a cosmetic one if a doctor has confirmed there is a medical need. This means that some insurance companies may pay for all or a portion of the procedure. This is approved on a case by case basis and is something to discuss with your insurance provider. If a breast reduction procedure is something you’d like to learn more about then please give Romanelli Cosmetic Surgery in Huntington, NY a call to setup a consultation. You will use this time to meet with a surgeon and go over your options. A personalized treatment plan will be created to fit your goals, which will include next steps, details of the procedure, and recovery time. You can also discuss your benefits and out of pocket costs in further detail with our office staff on the day of your consultation. A breast reduction surgery can prevent your breasts from getting in the way of everyday activities and leave you feeling more confident in your interactions. Give our Long Island office a call today if you’re interested in transforming both your body and your life.